Coming from a business background, I understand the importance of a budget! One of the more common things we hear is that brides and mother of brides have no idea what flowers cost these days. Most of the information you find will tell you that your floral budget should be about 8% of your total wedding budget. What does that mean? Really it is up to you and how important the flowers and decor are to you. Some brides feel that flowers are the most important detail – others think they are not as important. We like to know your budget up front if at all possible this way we can help point you in the right direction. We don’t want to get your heart set on a bouquet option with flowers that don’t fall into your budget. If you have a number you need to stick with let us know and we will do everything we can to remain as close to that amount as possible. 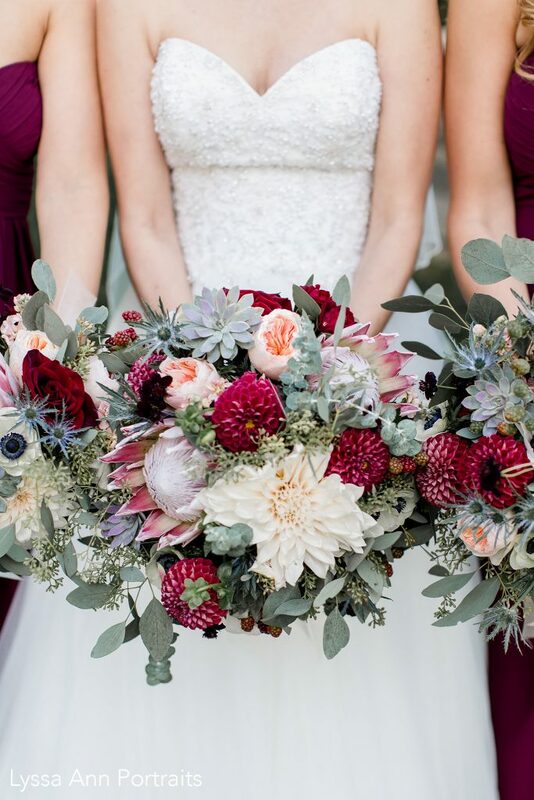 A piece of advice – the bridal bouquet should be the least compromised. That meaning – it is the most important of your flower details! Get exactly what you want and scale down from there if need be. We have lots of advice on how to get the most for your money and are happy to pass along those tips!